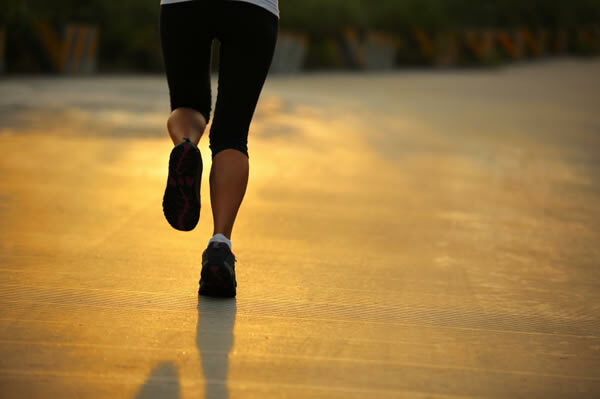 The benefits of jogging are well documented but what is less spoken about is the related injuries. People jog for fitness and fun and I, coming from a Rugby League and combat sport background enjoyed the benefits of the aerobic training and leg conditioning. At the age of 15 and 105kg I used to jog 6.4km every Mon and Weds and do 10kms from my house around Lake Ginninderra every Sat or Sun depending on what day footy was on. At this age I had no reoccurring injuries, as I got older and my weight went up the injuries mounted, starting with knee and back aches and eventually planta fasciitis in both feet ( google it ) #agony. #1: The single most important piece of advice that got me jogging again: only make contact with your forefoot ( toe end ) and nothing else, ever. 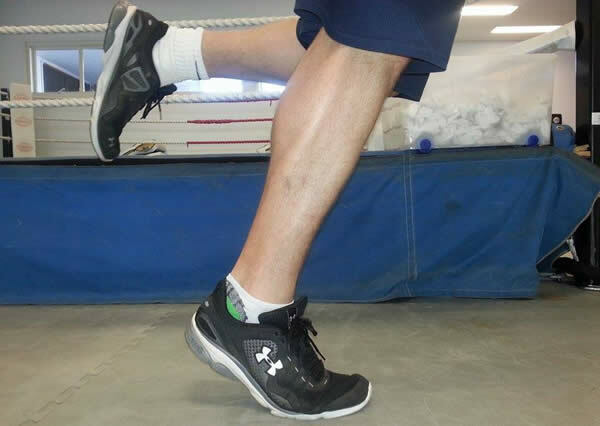 This makes your leg act like a spring and distributes the injury causing energy from the impact as much as possible. 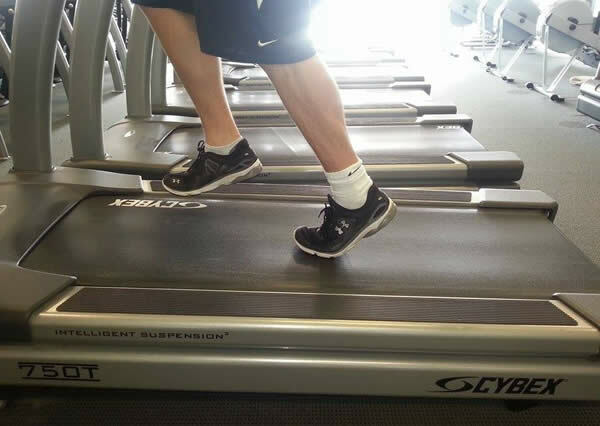 #2: This new technique will cause an increased workload on your calves so to build up their strength start with skipping, tyre hops or on a slow treadmill on an incline to make sure the correct part of your foot in striking the ground. #3: Start with shorter distances and see how you recover, the ‘ low impact ‘ of jogging can lead you into a false sense of security with injuries staying dormant for sometimes up to days after the injury has occurred. #4: Grass is a safe bet, makes for a very soft impact. Enough said. Ben has lived in Canberra since 1988. He fights out of Bulldog Gym, Elite Physique. Ben started training in 2003 with his first trainer the late John Verran and is currently trained by Jamie McCuaig and Stuart McKinnon. Ben has had 49 Kickboxing fights for an 39 wins with an astonishing %88 KO ratio. Ben is also a professional boxer and MMA fighter with an undefeated record of 6 fights for 5 wins and 1 draw. The draw was for the Australian Heavyweight Boxing Title. He was also a Canberra Raiders junior representative and played first grade for the Queanbeyan Blues at the age of 17. Ben is our newest RiotACT contributor and will sharing weekly tips and thoughts on fitness. i would try these points today when hitting the gym. I quite like a kickbike as an alternative, though mine has been gathering dust in the garage for a year. It’s basically a scooter with bicycle wheels, and as a workout it’s a bit like the mid-point between jogging and cycling (lower impact than jogging but a better workout than cycling). Yes, there is a wealth of information out there which says running shoe companies are causing injuries by elevating the heel and selling you all kinds of cushioning systems in the back of the shoe. The counter argument is barefoot running, or completely flat shoes (zero drop) promote a natural forefoot technique – as you describe, which prevents injuries. The book Born to Run talks about this – and is a great read. I digress. My personal opinion is this is really only something for fit people to experiment with. Elite runners, mainly sprinters, are generally on their toes but this technique is not going to be the difference that turns couch potatoes into lean athletes overnight. I’m 193cm and was close to 130kg a few years ago. I couldn’t jog 400m without a rest. But now I’m averaging about 30km of jogging a week and weigh 97kg. And I generally don’t have any of the foot and ankle problems I had as a teen. My physio still says running is not an ideal activity for someone of my height and build – but it’s certainly the most effective form of exercise I’ve ever done! So – when’s the next fight Ben? I’ve heard this before but it doesn’t come naturally. I’ll consciously give it a go and see what happens. Hopefully less soreness in the knees and feet.